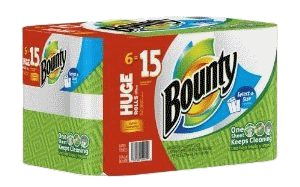 Mom For A Deal: Amazon~ 6 Pack HUGE Rolls Bounty paper Towels Just $13.32 Shipped! Amazon~ 6 Pack HUGE Rolls Bounty paper Towels Just $13.32 Shipped! Amazon has 6 of the HUGE Rolls of Bounty Paper Towels which equals 15 Regular Rolls for just $13.32 when you use Subscribe and Save. ~Go to Amazon HERE and the price will say $15.97/pack. Add to cart. 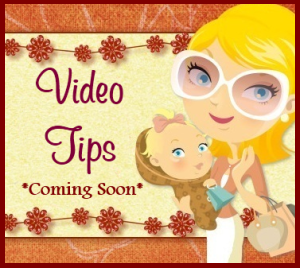 ~Look for a $.25/1 coupon in the center of the screen. 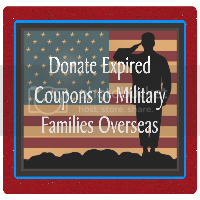 ~Click on Subscribe and Save on the upper right side and the price drops to $13.57- your $.25 coupon will come off at checkout making the final price $13.32 shipped! You can cancel the subscribe and save after your order ships. **Prices subject to change at anytime.